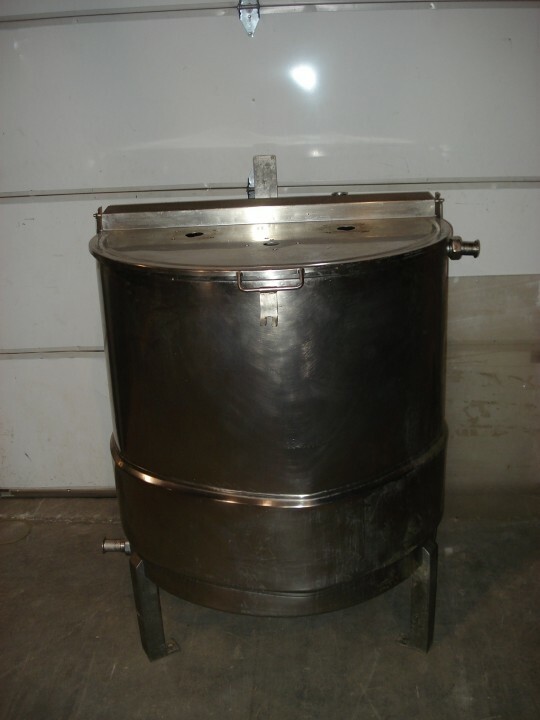 Used 150 Imperial Gallon Stainless Steel Tank. 37.5" Diameter x 38" Depth, 1 1/2" Side Discharge, Hinged Top with mixer bracket. Overall Dimensions: 48" Diameter x 52" Height. Last Used in a Food Facility.